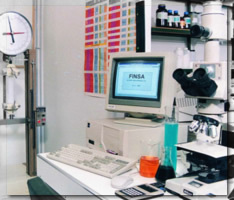 Finsa was founded 25 years ago, after one century of textile industrial experience. To give the correct answers to the filter media markets, with products making use of ever-improving technology, to be used in all industries, giving solutions to all dry and wet filtration processes. FINSA has its own weaving plant, manufacturing department to produce ready-made cloths, test laboratories as well as a distribution department.